That is a good wish indeed. Season's Greetings to you too! Amen to that! 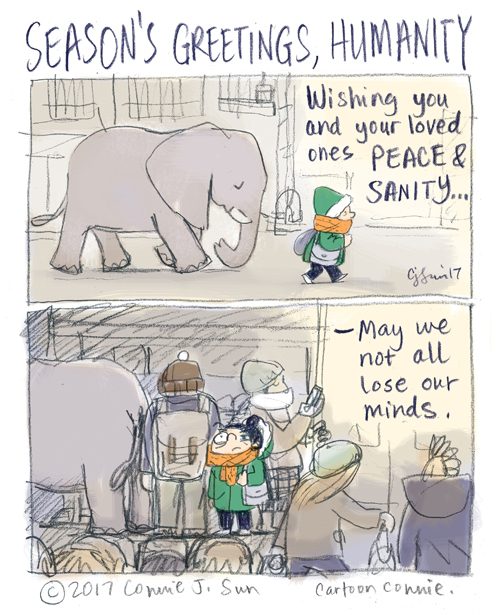 Thank you for a year of great cartoons Connie, and Happy Holidays.